The bullet proof crystal clear acrylic head has a feel like non other. The head of the Face-On mallet putter (manufactured by Ice Cube Putters) provides everything you need for a smooth and consistent stroke. 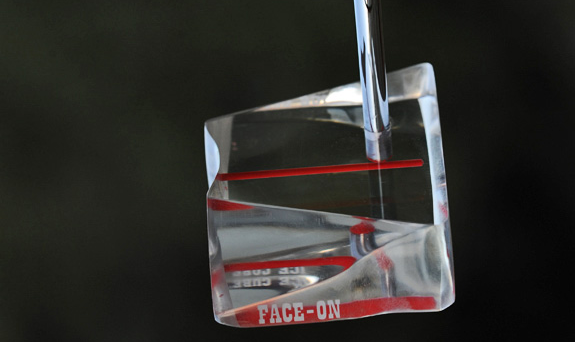 The weight of the head is 400 grams, the Red sight line measuring in at 2 ¾” long helps you line up your putts! Standing with the ball off to your side, and both feet facing the target, it provides the golfer a much better view of the line of the putt. It is the ultimate alignment aid. The remainder of the putter is see-through, designed that way in order to eliminate visual distractions and simplify focus. Consequently, if you can aim a rifle, you can aim your putter, lower your score, and become a better golfer. 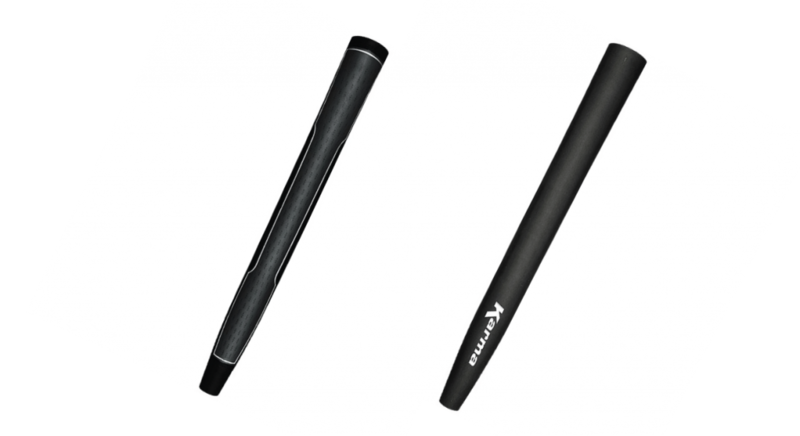 The 46″ shaft with a single bend set at the very minimum allowed by the USGA at 10%. 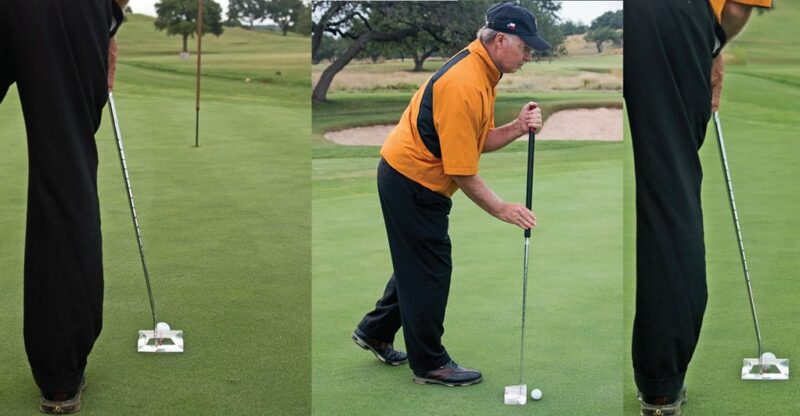 This allows an almost perfect vertical pendulum and helpful for the average golfer becoming adapted to this style of putting. The Face-On Putter comes standard with a 19” Karma grip. The round design provides players of all skill levels even grip pressure and a consistent stroke. Specially designed to accommodate the mallet style Face-On Putter head (manufactured by Ice Cube Putters). This magnetic headcover is ready to protect your putter on the course or on the road. The magnetic closure allows this headcover to open easily, allowing you to quickly remove before putting, and self-lock after use ensuring a snug fit to protect your putter head from scratches and abrasions. The black and gray material will complement any golf bag, any color scheme. This affordable, durable headcover is expertly crafted from tough, marine-strength vinyl to look great and protect your Face-On Putter for rounds to come.